Call of Duty is one of the most popular first-person shooter video game franchises on PC and console. 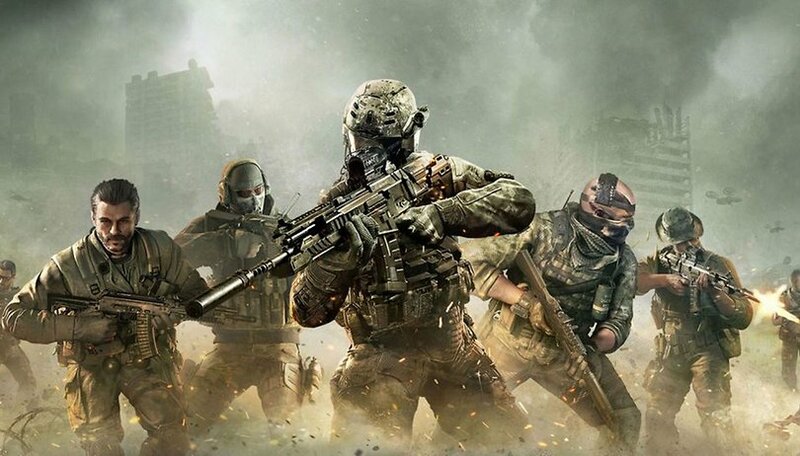 Now the series will soon get its first smartphone game, simply called Call of Duty: Mobile. With the mobile version of Call of Duty, however, there will not be such a bombastically staged single-player campaign as on the other platforms. As publisher Activision confirms, it will just offer multiplayer modes and of course optimize controls for smartphones. There are different types of game modes available like Team Deathmatch or Search and Destroy. Overall, Call of Duty: Mobile will be a mix of content from Black Ops and Modern Warfare - an unusual mix of the two first-person shooters. Maps, characters and weapons from both games can be found accordingly. In addition, numerous popular maps of the online shooter such as Nuketown or Crash will be playable. Just like Fortnite and PUBG Mobile, Call of Duty is also available in the free-to-play model and, according to Activision, will receive numerous free updates with new content. But of course the publisher will earn his money with in-game content and offer skins and other special items that hopefully won't bring any unfair advantage to purchasers. Activision has not yet revealed an official release date for Call of Duty: Mobile, but would like to start with an open beta to collect player feedback. For these you can already register on the website of the game or in the Google Play Store. Sorry, iPhone users, no possibility to pre-register on the App Store. What do you think of playing Call of Duty on your phone? It is going to be a very heavy graphic game, just like PUBG. That's my guess.